The great outdoors has always been an integral part of my life. Growing up in Canada I regularly went camping, hiking, and was steered by my parents outside during free time, regardless of season or weather. Being outdoors was just what I did. Years later, living in the concrete jungle that is Bangkok, Thailand, I continue to gravitate towards natural spaces, even though opportunities aren’t necessarily obvious or easy. Cycling along the city’s canals, running in slums, and enjoying a city park has always been a draw, especially at sundown. I didn’t equate it to much more than a predilection for being active, but it turns out there may be much more primal reasons and powerful benefits for engaging nature. 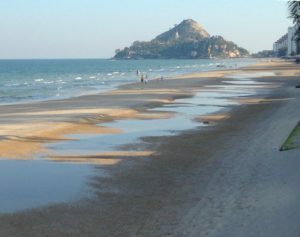 While strolling seemingly endless beaches at Hua Hin, Thailand during an introspective period, I found myself hearing the rolling waves, birds, wind in the trees and nature’s orchestra extremely clearly. Each walk left me feeling fulfilled, recharged and very creative. I wondered why, did some research, and stumbled upon Richard Louv’s intriguing book The Nature Principle. In it he references ‘Vitamin N’, which stands for ‘Vitamin Nature’, and hypothesizes that humans require a regular dose of it to fully utilize and hone our senses and instincts. While technology is changing and reshaping our lives at an unprecedented pace, Louv cautions we have not yet addressed how human capacities are enhanced through the power of nature. For the first time in human history there are now more people living in cities than rural settings, many of us spend a majority of our days sitting in unnatural positions, staring at computers, living dangerously sedentary lifestyles, with little or no daily connection to the natural world. This radical shift in the human condition must be having an impact on how we think and perform. 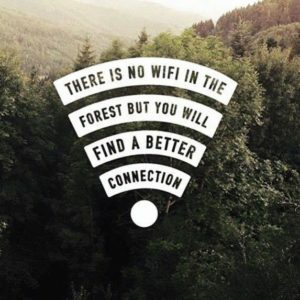 The Japanese recognized this some time ago and have been combating it with ‘Forest Bathing’ (Shinrin Yoku in Japanese), a simple concept of getting people into forests to reconnect with the natural environment. To date there are 44 accredited Shinrin Yoku forests in Japan and it’s quickly becoming a mainstream activity. Studies in that country have shown that Forest Bathing reduces stress, anger, anxiety, depression, and has other positive impacts on those who take part. There’s something to this. 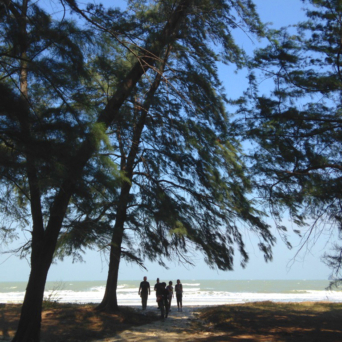 A July 2015 New York Times article, ‘How Walking in Nature Changes the Brain’, explored how brain waves change when walking outdoors. It also touched on studies that correlate elevated anxiety, depression, and other mental illnesses amongst urban dwellers that have little access or exposure to the great outdoors. What was once a fringe concept is gradually gaining traction and starting to attract supporters. While urbanization and modernization has powerful benefits and is raising millions out of poverty, by doing so we’re losing our connection with natural environments at an alarming pace without knowing the full consequences. It seems entirely plausible that by doing so, humans are relinquishing the full use of their senses and instincts due to our changed daily environments. Reconnecting with nature and receiving regular doses of ‘Vitamin N’ is imperative not only to avoid losing touch with our natural world, but ourselves, and realizing our full capability. Get outside, get reconnected, and start firing on all cylinders.